Living at heights feels like heaven… or at least closer to it :). 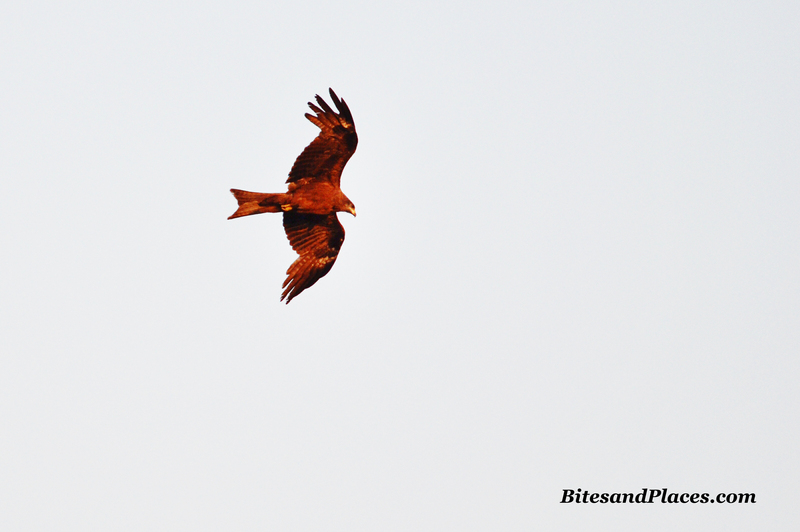 I play neighbor to bunch of these gorgeous Kites who visit my aerial neighborhood daily. One of these, somehow, has become a pal of mine. Although its kinda one-sided 🙂 . 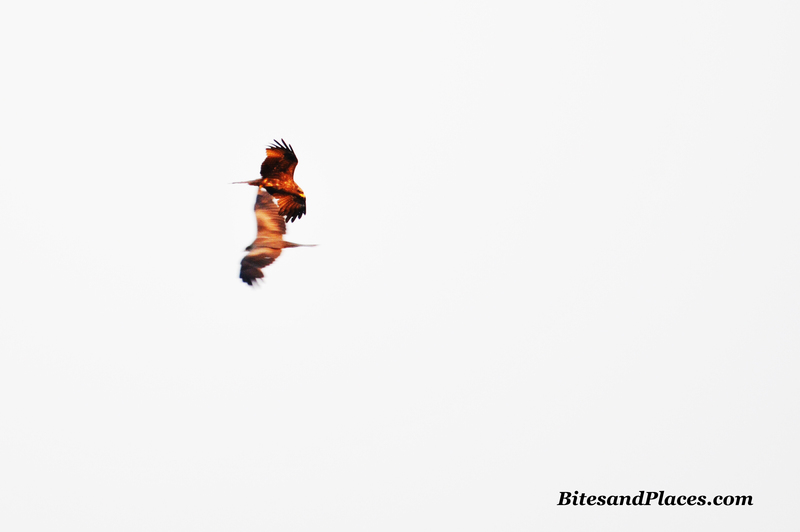 Its that prominent “V” in his wings which makes him stand out from his family. I named him Arnold… for his magnificence, strength, beauty and grace. Pet-name’s Arnie. Isn’t he gorgeous! That’s Arnie with his brother. Pat twice on my back for getting this bang on time with my buddy in focus. Nah. That ain’t him. This picture however makes me happy whenever I look at it. Why? 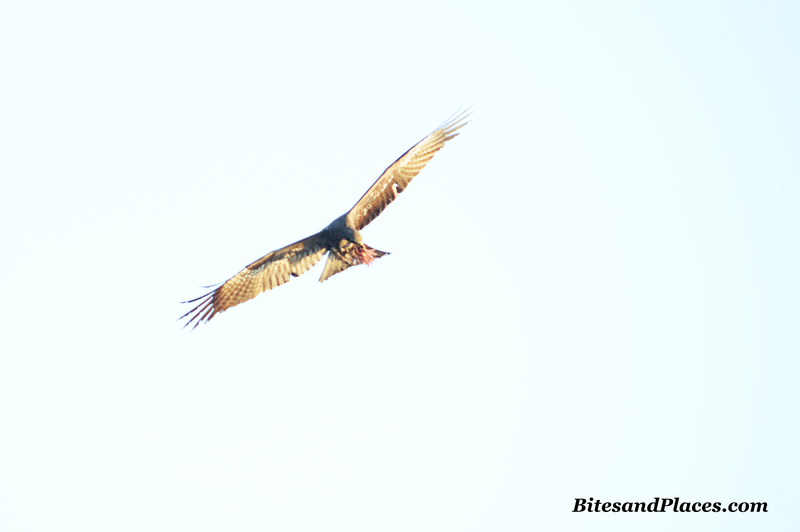 I’ve mostly seen these birds hovering for hours in the braising sun for food. And seeing this guy with his kill, tells me there’s still something left for these beautiful creatures in this ruthless jungle of concrete. I clicked this picture on our visit to Mussoorie. We’d halted for a coffee in a tiny restaurant. Through the backdoor, I could see a bright little temple plonked precariously on a cliff. I couldn’t stop myself from requesting the manager to allow me get to the rear to click some pics. He gladly obliged. 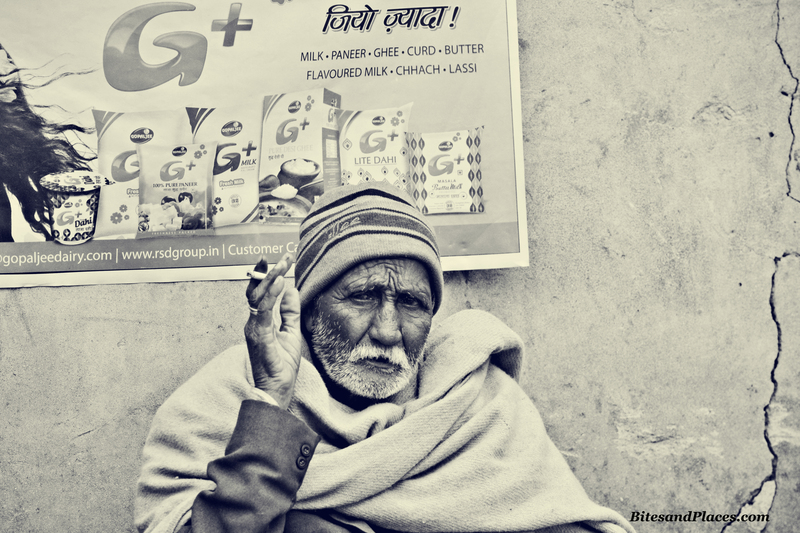 There was this person, enjoying the chilling mountain breeze while puffing beedi. His eyes were beautifully old and skin countlessly wrinkled. Don’t miss the ad on the wall behind him. Getting a perfect shot ain’t easy. There’s lot of stunts involved…well…sometimes… This was one such, clicked from my 16th floor balcony. I enjoy standing there with my chilled coffee, watching the grandparents bring the kids for a stroll every evening. What I love about this picture is the old, warm and protective hand of this aging grandad on the baby’s head. So much of love, so many emotions, so many promises! 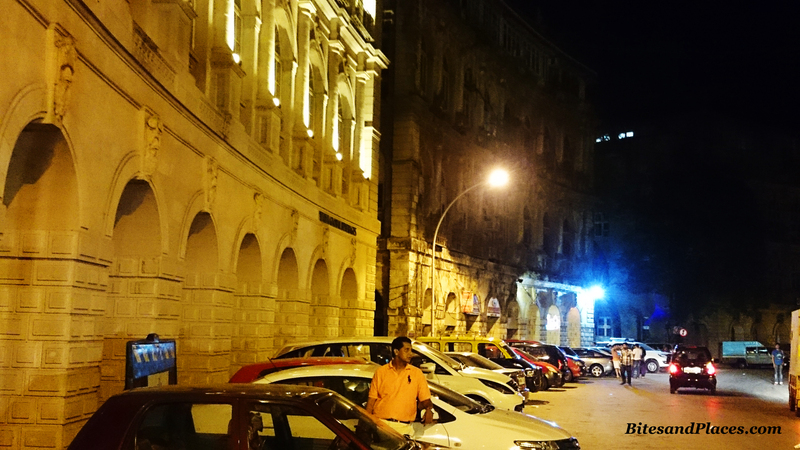 Fort area in Southern Mumbai still oozes its 18th century colonial charm. So does its heritage architecture, streets and its cafes. 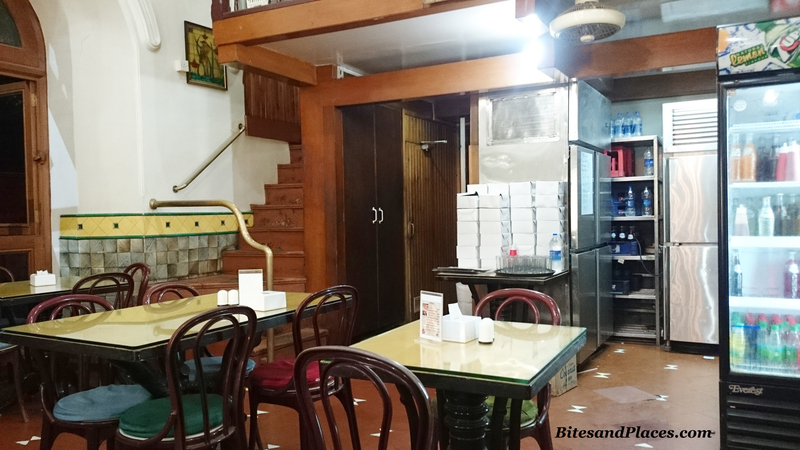 Nestled in the Horniman Circle area, bang opposite the glorious Asiatic Library and a neighbour to the famous Bademiya is this modest little restaurant called Jimmy Boy. 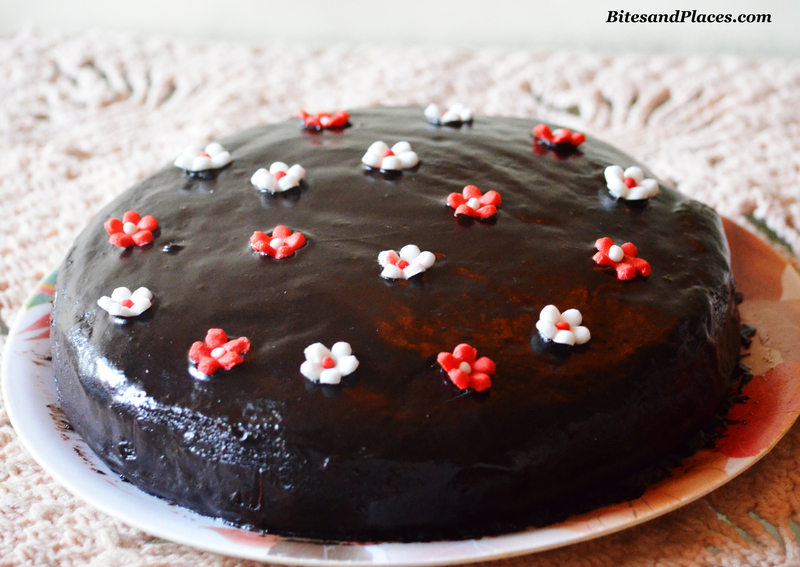 Jimmy Boy is famous for its authentic Parsi cuisine. 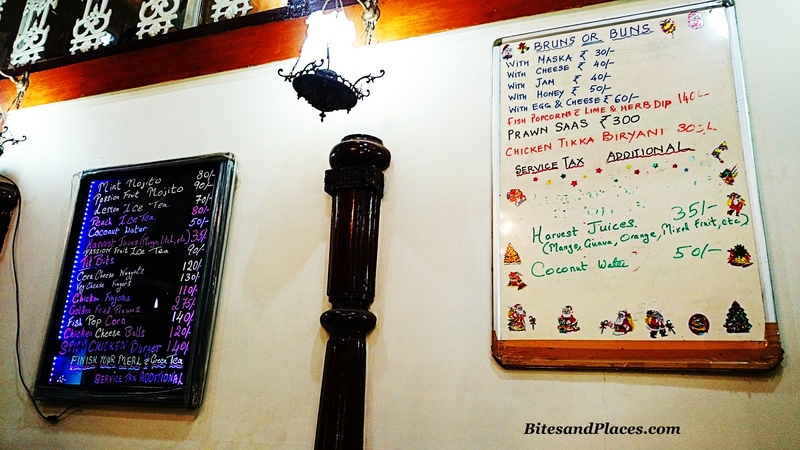 They say, this place is just the same it was ages ago in terms of its ambience and much loved menu; which could be the reason it’s crowded all the time with old patrons still ordering the Brun Maska and Chai and the new and indecisive ones (like us) hovering all over the menu. Ambience: It’s a restaurant portraying the ethos of the 70s and 80s or even before, when Mumbai was Bombay and gourmet food was unheard of. Nostalgic! 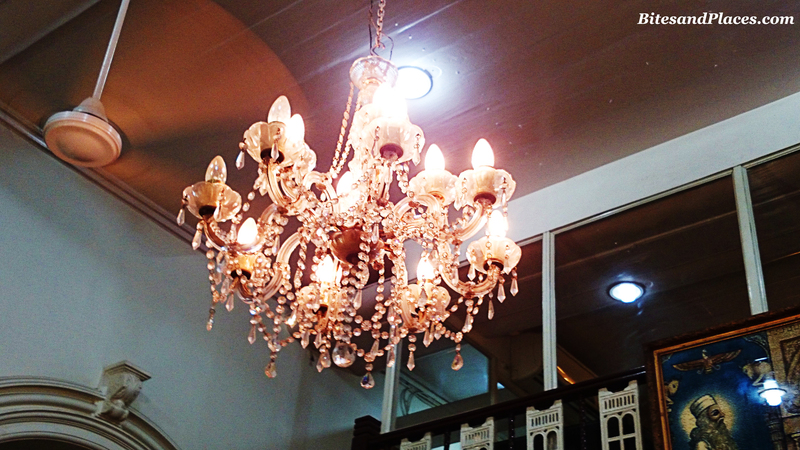 I have a thing for chandeliers and absolutely loved this one. 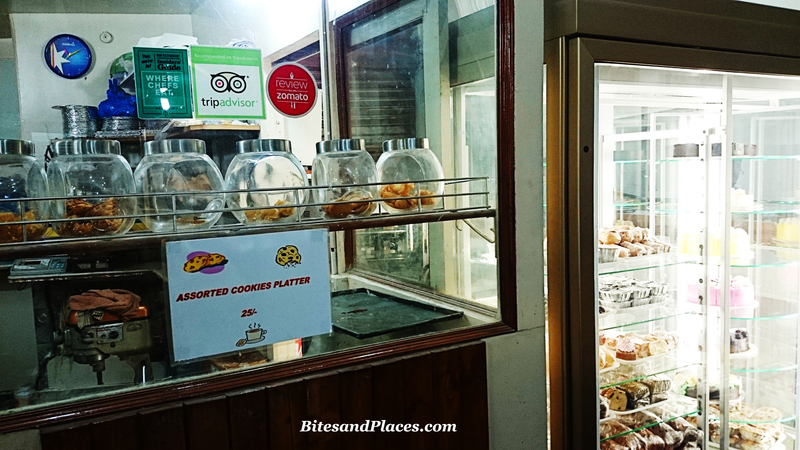 Old-school wide-rimmed cookie jars sitting on the wall that separates the small bakery from the restaurant. There are also some cupcakes and croissants on display. Seating: It’s a petite place. Around 8 tables accommodating two or four on each side. There’s a mezzanine floor too. Food: Menu is huge. 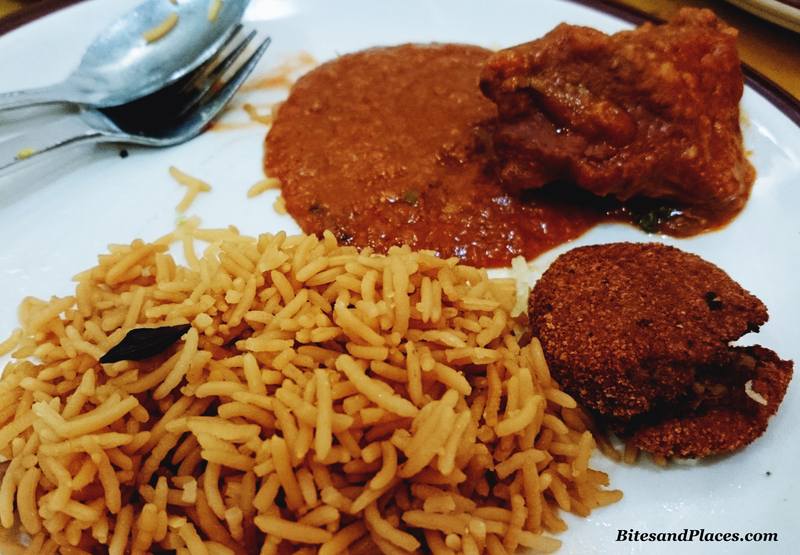 Along with authentic Parsi food, North Indian cuisine, sandwiches, quiches, tarts and others are also sprinkled here and there on the menu. They have Pallonji’s Rasberry and Ginger Soda, typically found in Parsi restaurants. 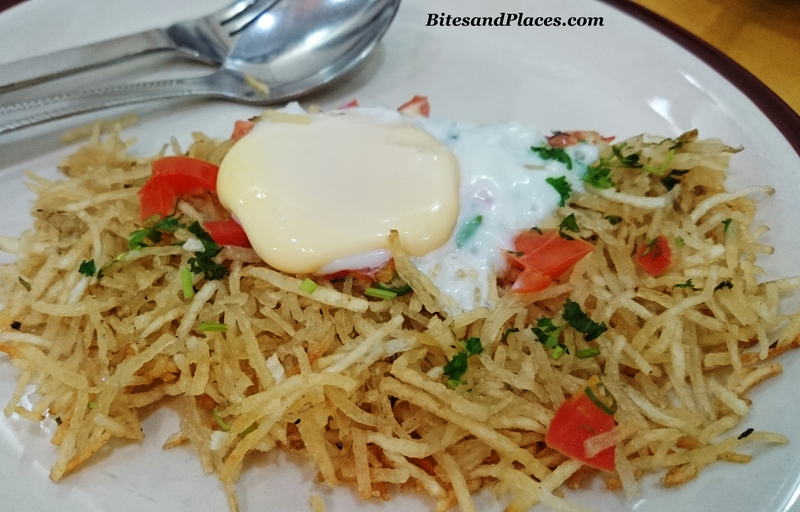 We ordered a Masala Akhu, a sunny-side-up egg on grated potato cake. I liked. 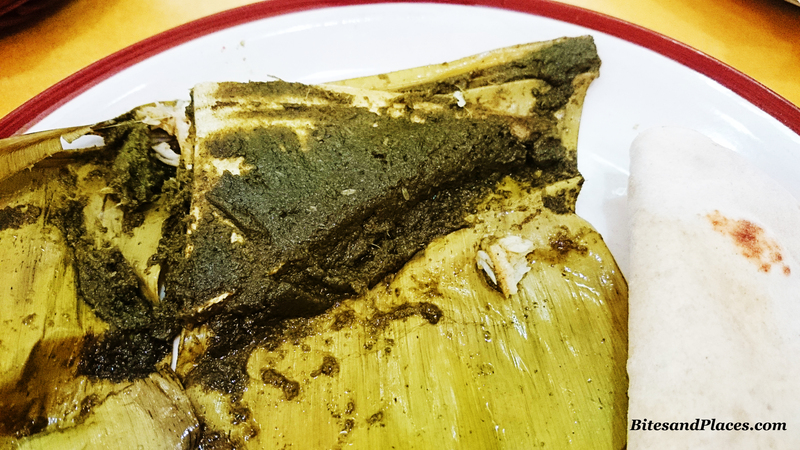 For the mains it was a Parsi must-have, Patra Ni Machhi – fish cooked in green masala and steamed in banana leaf. We had it with chapatis. It was delectable. Later came Chicken Dhansak – Chicken cooked in dal (pulses). It’s accompanied by brown rice and two pieces of Chicken Kebab. Chicken pieces were cooked to perfection. The gravy was kinda ok, a bit on the sweeter side. May be it’s meant to taste that way. 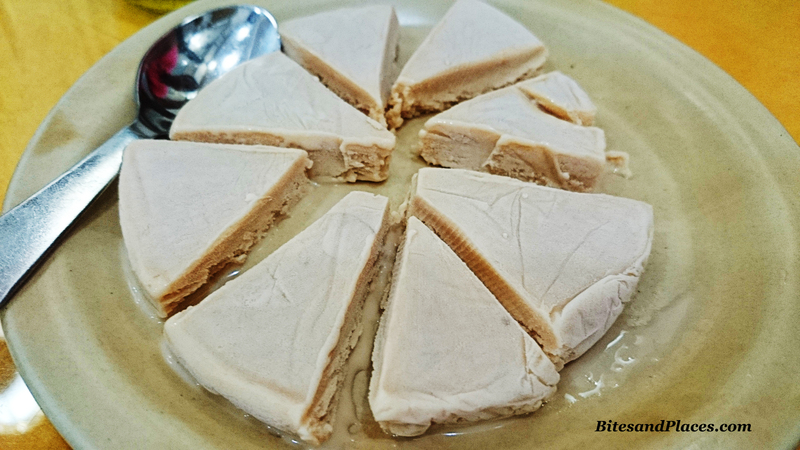 We wrapped up our dinner with Kulfi. Service: A twenty out of ten! Right from the call I made to locate the place till after paying the bill, it was a pleasurable experience. Service is super quick. Food was on the table within minutes of placing the order. Parsi food being a totally unfamiliar territory, we were lost in the menu. It was then Mr. Kaushal came to our rescue. He is very friendly and helpful, so is his cheerful staff…even at 11.30 pm when it was time to pull the shutters down and a staff birthday was waiting to be celebrated. My Say: Food was great. May not be exceptional. Ambience is nostalgic. Service is fabulous. 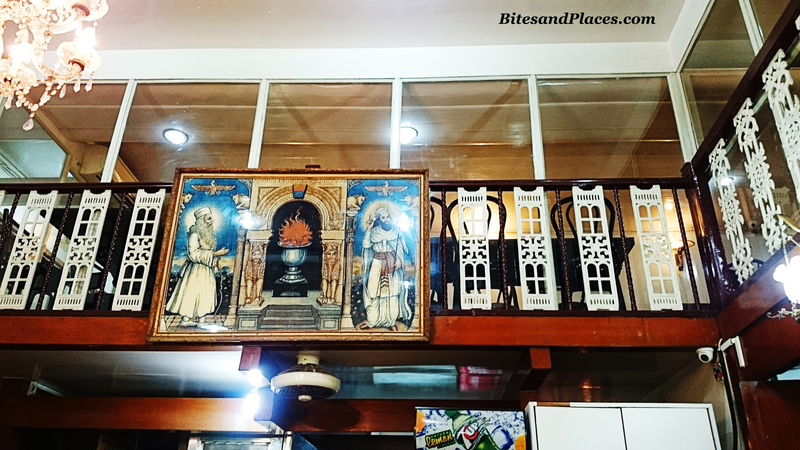 You gotta go there once to lay your curiosity about Parsi cuisine to rest. I’m sure it wont disappoint you. A few days before the first May Bank Holiday, I had the horrible realisation that I don’t really have any more annual leave from work until the end of September. That means: no summer holiday. It was too late to plan anything for that three day weekend but there was still time to organise something for May Bank Holiday number two. My flatmate agreed to come with me and we had one criteria- it had to be someone neither of us had been to. It also had to work money-wise and flight-wise, by which I mean it had to be cheap and the flight times had to be after work on Friday night and back Monday afternoon.